‘rbn_esc’ is a project fusing cinema and live experimental visuals. Presenting a series of character scenarios, it invites the audience to construct narrative and cultural critique: rbn_esc >> urban escape. It is also a vj project developed over two years, evolving to the final ‘live cinema’ state presented here of a refined, multi-layered 45 minute audio-visual performance produced to the highest standard. Toby Harris crosses the disciplines of artist, designer and engineer in the pursuit of anything that uses media to make people interact or think in unexpected ways. 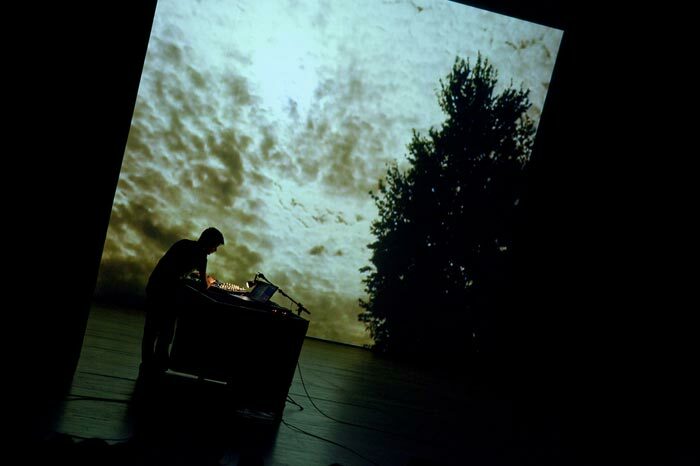 Particularly interested in what cinema can become, he performs improvised ‘live cinema’ pieces and has developed audience-led interactive story-telling environments. He was also the VJ in the ‘Ford VJ Experience’, which dominated UK event industry awards in 2007, turning motor-show messaging on its head by making the screens about the people buying the cars rather than the cars themselves. Comfortable both with devolved community based projects and focussed commercial work, he works both under his artist moniker *spark and as part of other forward-looking organizations such as Imagination, Yeast Culture, D-Fuse and The Light Surgeons.